The Hall-Musco Conservatory of Music at Chapman University presents multiple festivals and special events for high school students throughout the academic year. Summer Choral Music Camp, Honor Band Festival, Double Reed Day, Strings Festival, and the annual choral festivals are just a few of the events we host. Chapman University’s week-long Choral Music Camp features mixed choir, women’s choir and men’s choir as well as small ensembles in which students explore making music with new friends. 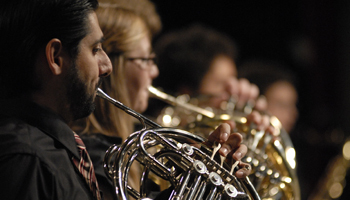 Led by Southern California’s preeminent wind and brass faculty, this day-long intensive offers high school musicians pre-professional training on the beautiful Chapman University campus, culminating in a performance in the Musco Center for the Arts. 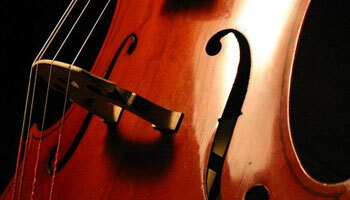 This day-long festival includes master classes, training in orchestral leadership skills with faculty artists of the Hall-Musco Conservatory of Music, and much more! 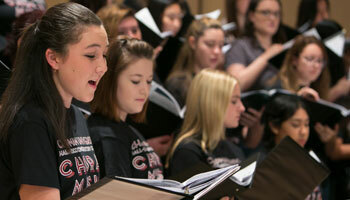 For over 50 years, Chapman University has hosted high school and college choirs from across Southern California, allowing students the opportunity to be adjudicated by world-class clinicians and choral educators.